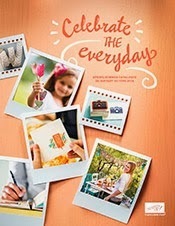 Sale-A-Bration is Stampin’ Up!’s biggest sales event and the best time to get new customers! From 28 January-31 March, there are so many ways for your customers to get involved whether it’s through shopping, hosting a party, or joining Stampin’ Up! You can join in on the shopping and hosting benefits too—as well as get rewards for your sales and recruiting during Sale-A-Bration.